Your batteries need to be recharged occasionally, both emotionally and psychologically. When you find yourself drained, reset your thinking with direction from a master. Dale Carnegie, the author of the well-known book “How to Win Friends and Influence People” is an expert on successful interaction with people. 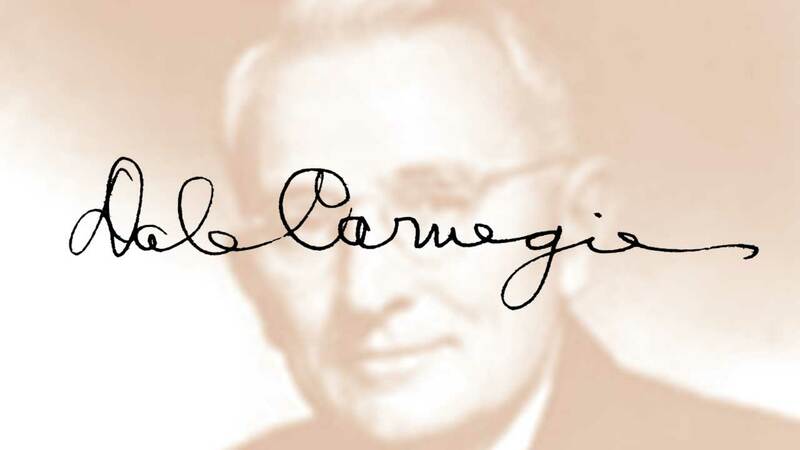 Let’s take a look at Dale Carnegie’s secrets to success. One of the keys to success, according to Dale Carnegie, is to love your work. If you love your work, you will eventually be good at it and you will be more productive. You will also not be in constant need of a holiday. When given too much thought and attention, fear can have a tarpit-like effect on your ability to take action towards achieving your goals. One of the best ways to stop fearing fear is to take action despite fear of success and the pressure that comes with it. If you are not used to taking action despite the presence of fear, you may have to act mechanically without thinking about the repercussions of your actions, possible criticism, or launching yourself into a world of responsibilities and pressure. When you reach a place in your life that is dominated by pressure, remember that you will learn to cope and excel and, even though you are in extreme discomfort, you are also in a place of personal growth and learning. Prioritization is key when it comes to time management. Knowing what is the most important task or goal that you have to complete during the day, month, or year, will help to streamline and optimize your daily activities. It will also help you to live a fulfilled and accomplished life. When it comes to prioritizing the different aspects of your life, it is important, to be honest with yourself about what is really important to you. A peaceful and loving family environment may be more important to you than financial gain, so it is important to take that into account when both of these priorities are demanding your attention at the same time. When you get comfortable with the possibility of failure, it will be like releasing the handbrake that keeps you from moving forward in your life. Unlike fear, failure is your friend. It gives you an opportunity to learn and to develop resilience. Of course, you don’t want to fail all the time, but as you progress towards your goals, you may find that your failures are getting less significant as they direct you to better courses of action and larger steps forward. This is a relatively straightforward key to success. It is important to choose to be enthusiastic and then to act upon that choice. Your brain is pretty powerful, and when you are choosing to be excited about your situation and life in general, you will feel more energetic and happy. Your productivity levels will soar, you will improve at your job, and, ultimately, you will open more doors for yourself and be in a mental place where you can make the most of opportunities that present themselves to you.